Welcome to our local family business. We have been operating a custom picture framing business in Winnipeg since the spring of 1988. We are located at 957 Portage Ave inside photo-central. We specialize in custom picture framing and most photographic services. 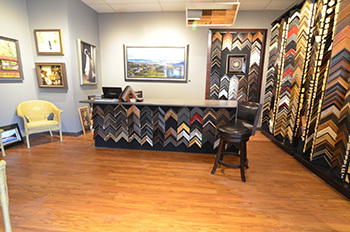 Our experienced team of framing consultants will assist you with everything from start to finish of your custom framing needs. Over the years we have done both large and small framing jobs of all sizes. We cater to all custom framing needs as well as the amateur and professional photographers, including photo restoration, re-printing, and enlarging. Framing pictures, posters memorabilia, sports jerseys, needle work, object framing and almost everything else you can think of, we have framed. Looking for something completely different, we build custom fireplace mantels and shelving using "Roma moldings"
Call e-mail or stop in whenever it’s convenient with you. I am personally here most every 5 days a week and look forward to meeting you.